Vionic's Relax slipper is great for anyone suffer from plantar fasciitis. Velcro straps make it adjustable for most sizes and widths. Feel secure and pain free while walking on any surface of your home. 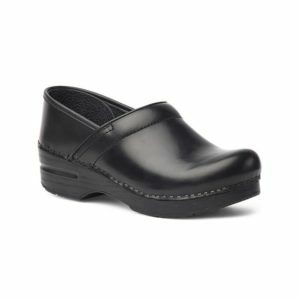 The Vionic Relax Black slipper is great for anyone suffering from plantar fasciitis. Velcro straps make it adjustable for most sizes and widths. Feel secure and pain free while walking on any surface of your home. Reduce foot fatigue caused by hard flat floors while lounging around the house with our comfy Relax slippers with our exclusive orthotic footbed built right in. Materials: Fabric covered TPR outsole with wave-patterned tread designed for indoor use.